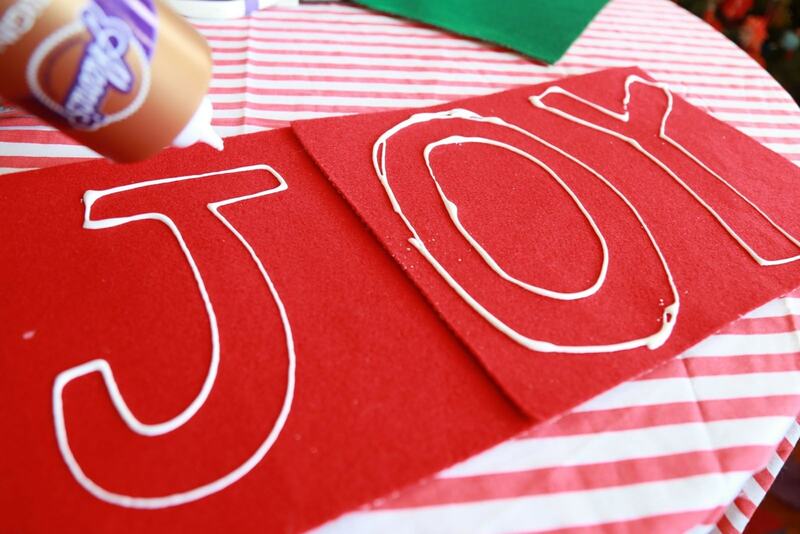 Christmas is filled with a menagerie of nostalgic sights, sounds, and smells…but don’t forget about a few key words to spell out the spirit of the season. 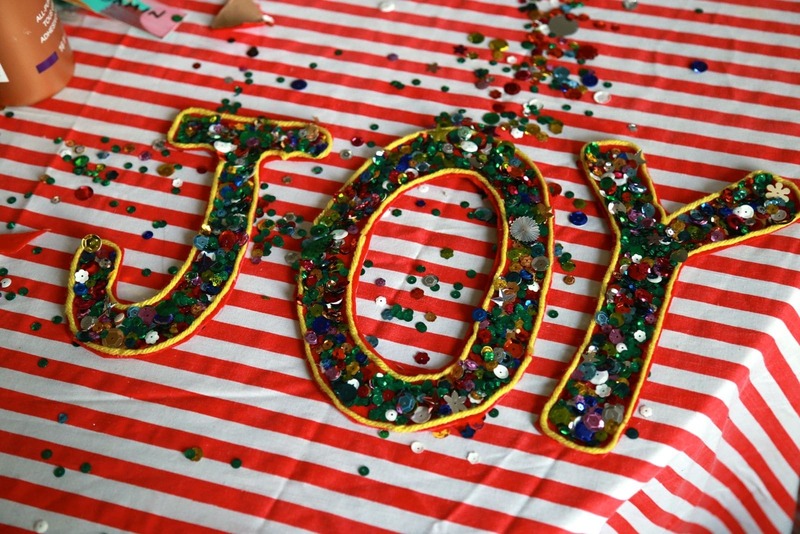 Joy, for example, has just three letters but means so much more. 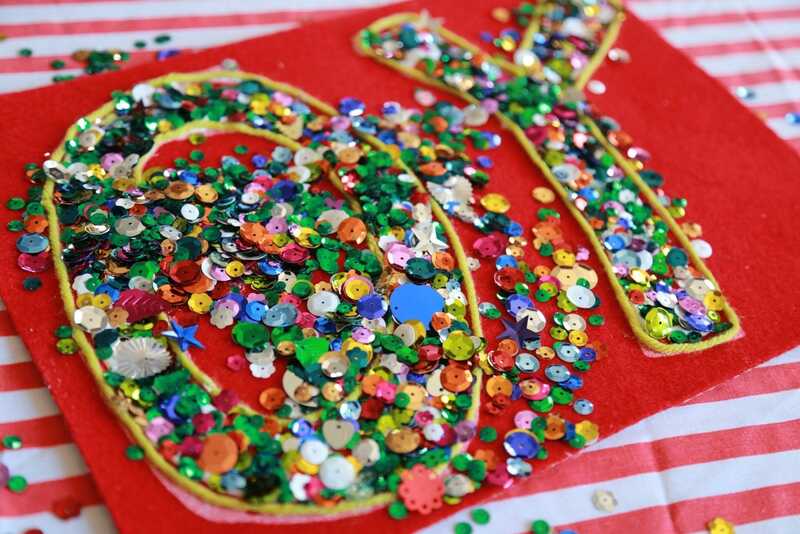 Using a few key materials, you can spell out your joy in sparkles (literally) for all the world to see! Let’s get started! 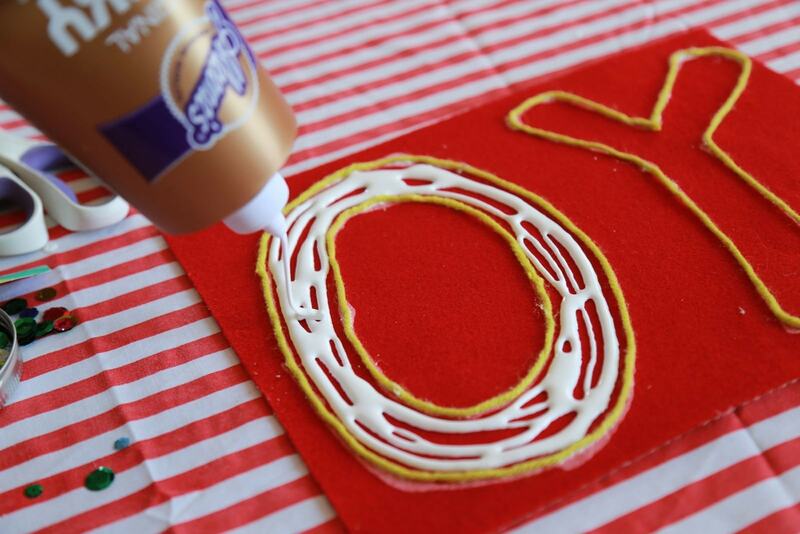 Outline letters in Tacky Glue. Keep the letters thick with plenty of gap space in the middle. 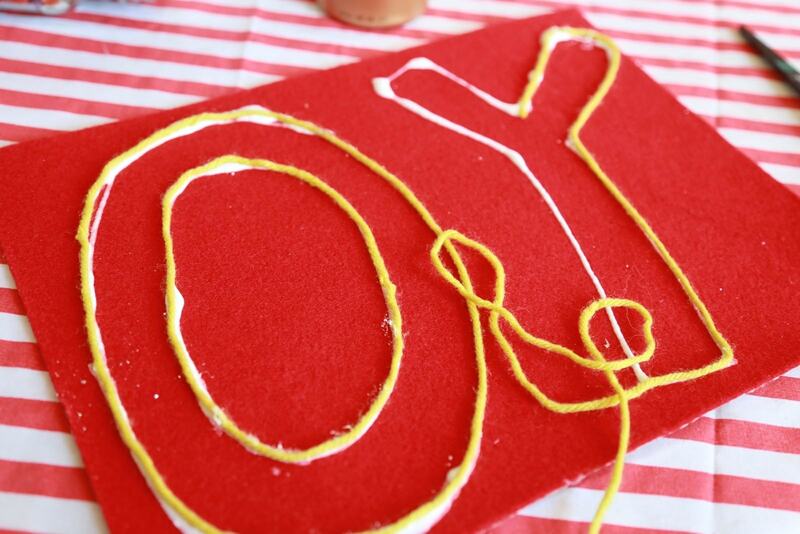 Trace glue lines with yarn and allow to harden (at least one hour). 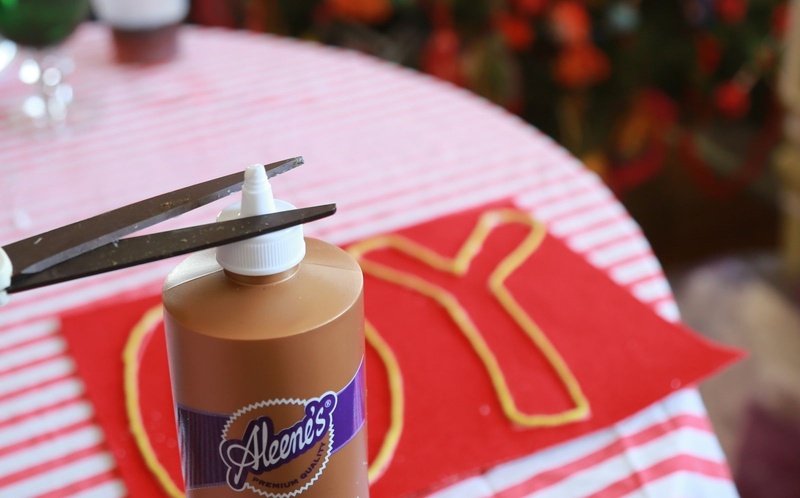 Tip: You can get the glue out much faster if you widen the hole at the top. 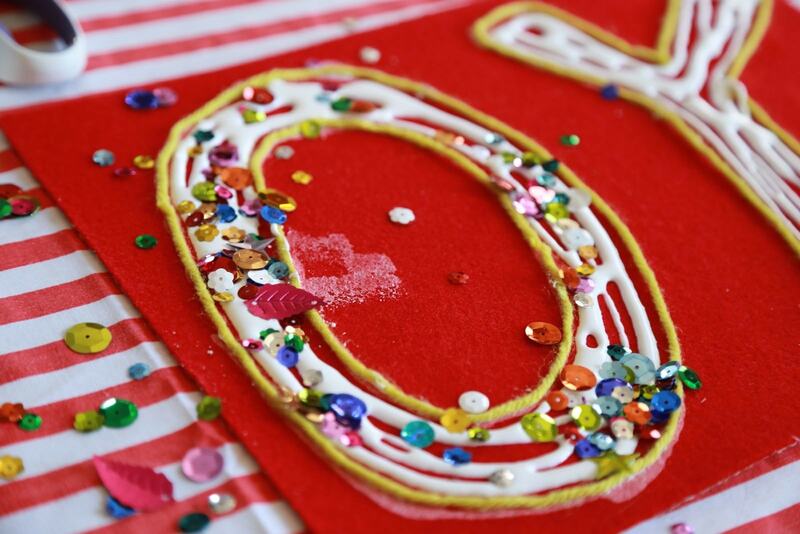 Sprinkle on MORE sparkles. Just dump them on there. Go for it! 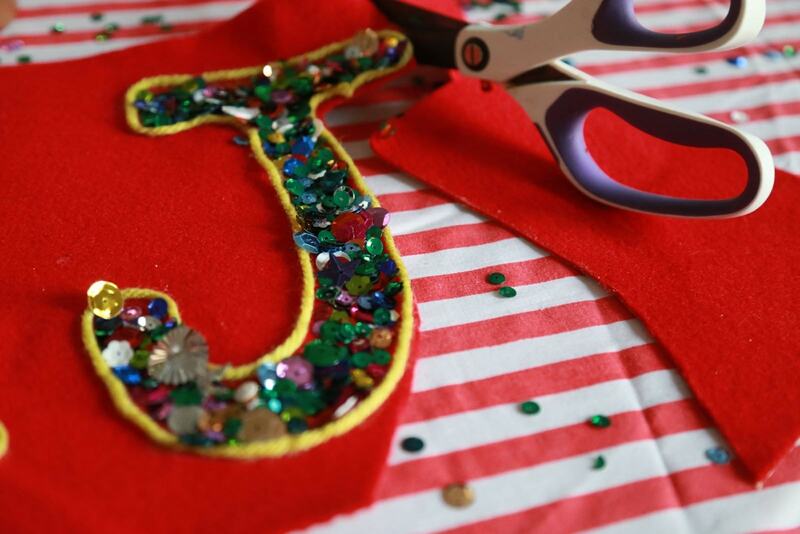 When the letters are dry, trim off excess felt. Well look what you made! 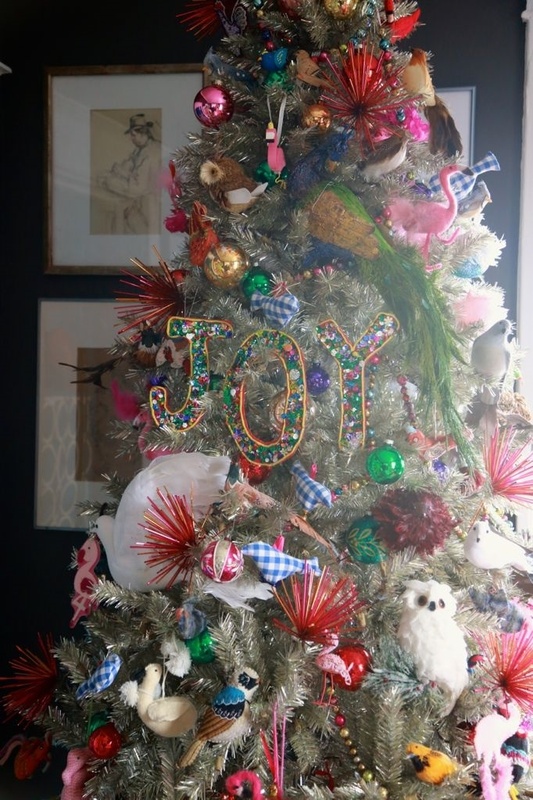 Perch inside Christmas tree or a wreath, or glue the back to your stocking or favorite ugly Christmas sweater. Enjoy!!! 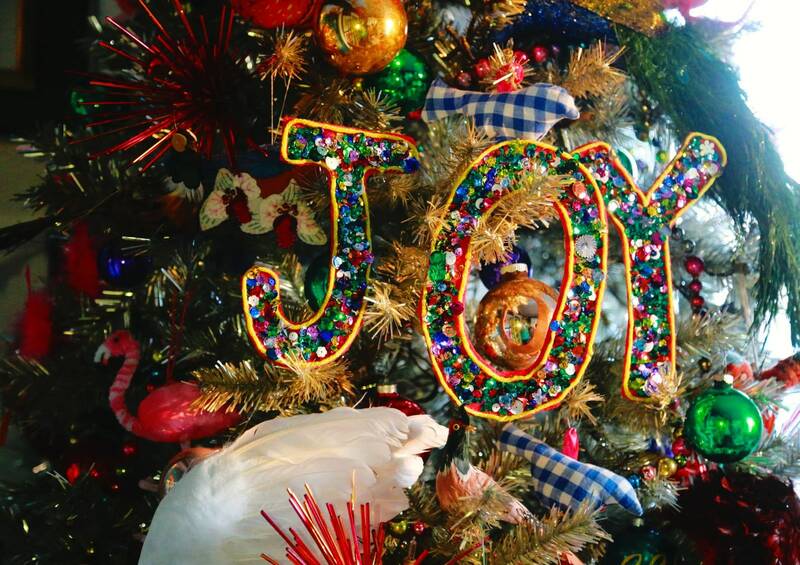 Using the oversized letters anchors the rest of the color and texture of the smaller ornaments. 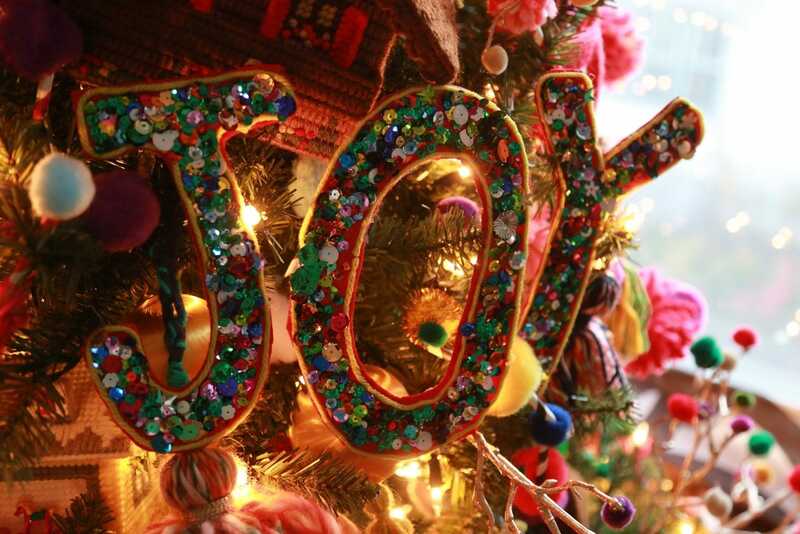 Merry Merry to you and yours. 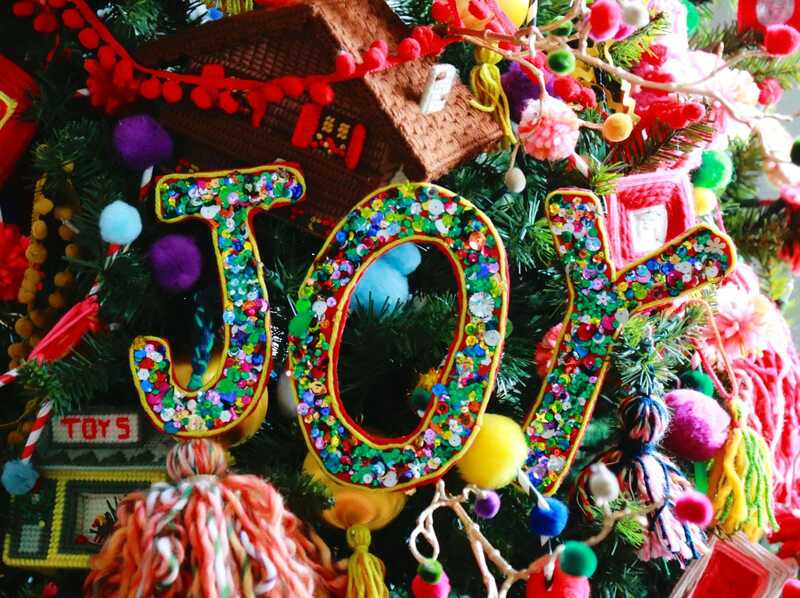 JOY to the world!